It's the Holiday Season for Giving Back, and Giveaways! I'm back with Currently from Farley and I'm grateful for no Internet access issues this time around. Last month I had my currently and blog post all ready but between work demands (I design our digital report cards), needing to replace a bad router and spotty internet during my week's vacation off for Thanksgiving I decided to save it for next year. 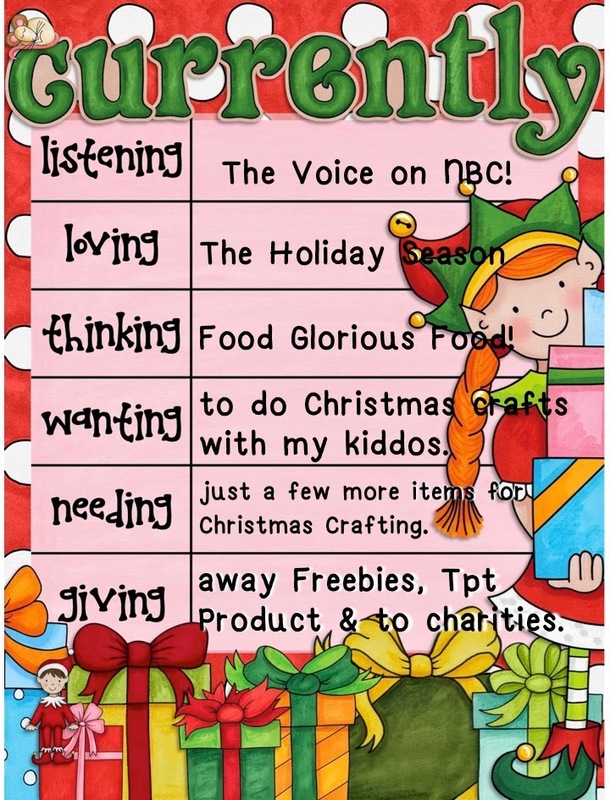 So here we go with December's! 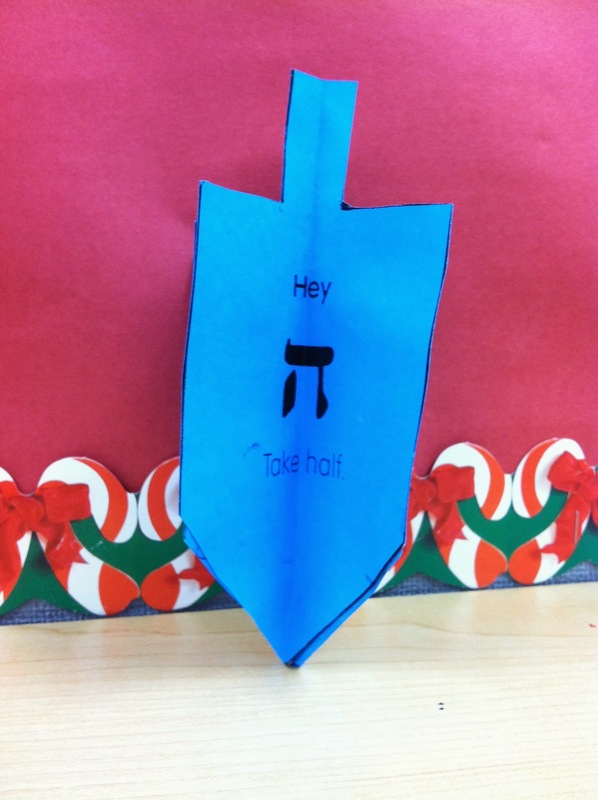 This is a pic of an editable craft I've done with my students in the past. 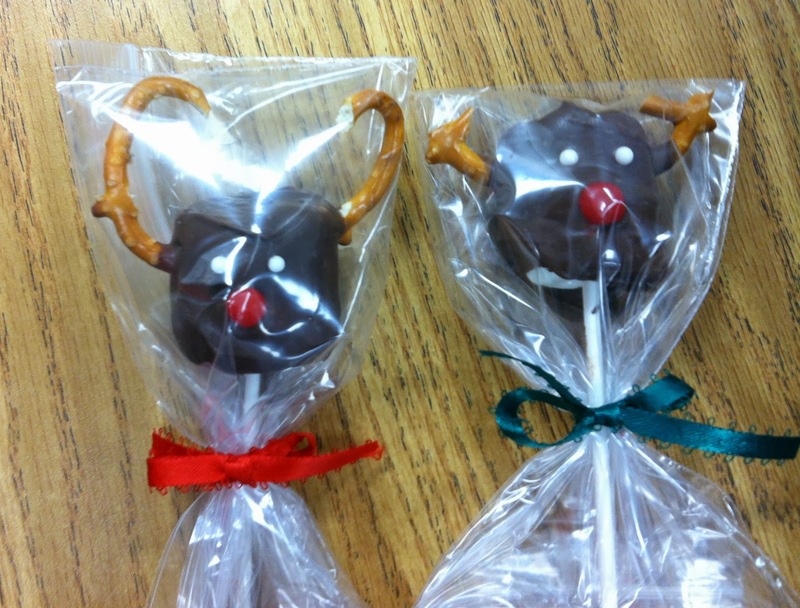 I found these cute reindeer and candy coated marshmallow pops on Pinterest. They have actually been quite messy and it's hard to set the chocolate without a freezer handy. 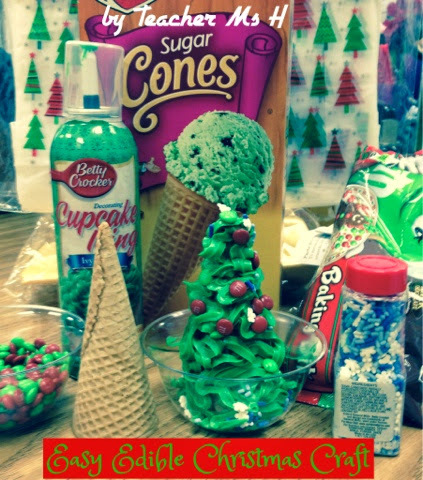 This year I will return to using sugar cones and have the kids decorate them to resemble Christmas trees using green frosting, candy and sprinkles. Also my students get to try their hand at Dreidel. I provide red and green M&Ms for this activity. 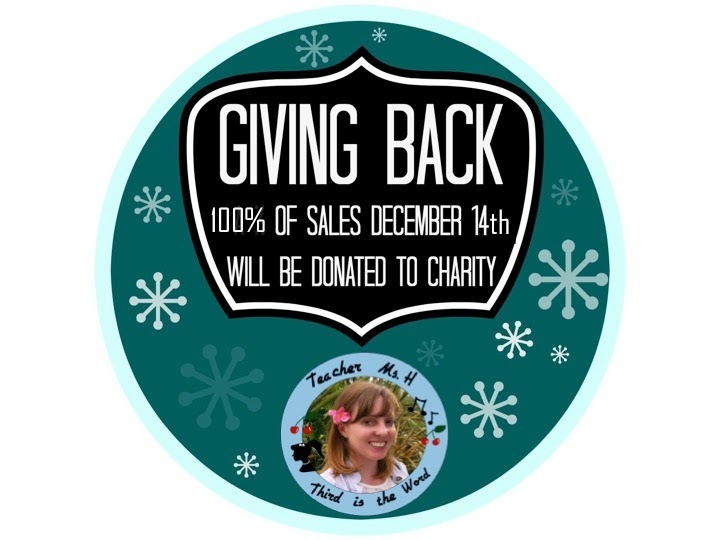 I'm teaming up with other sellers including the Nitty Gritty Science Teacher to Give Back. I am happy to participate as I donate to several charities each December and I even prefer people donate to worthy causes I share rather than give me a gift. Some of my faves from Christmas past include Red Cross, Heifer International, and Kiva. My charity of choice for this event is Lungevity. This charity and organization raises funds to research better treatment options for people with Lung Cancer while searching for a cure. This charity is near and dear to my heart because my cousin Melissa Waller died of this disease at the age of 34 in 2010. She has been an inspiration to me in starting this blog as she had the courage to blog every step of her disease so she might help others. I also set up a Memorial Fund in her name that you can still donate under. Another reason (besides having excellent ratings on CharityNavigator.org) is that my one of my Mom's best friends' husband died of lung cancer as did another one of her teacher friend's husband. Neither were smokers so it's important to know this disease can effect anyone. If you'd like to help out just click the circle below and any purchases you make in my store on Dec 14th. 100% of sales this day will go to my charity. I'd even be happy if you donated yourself to any of the charities I linked to above or if this post inspired you to give back elsewhere. There is no greater gift this holiday season, or better way we can give thanks for our many blessings, then to give to those in need. 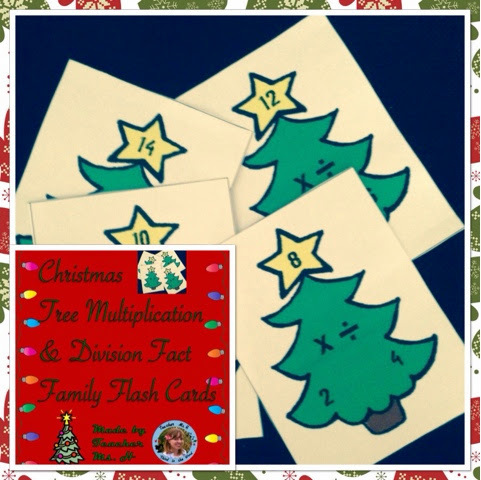 Now for some fantastic Christmas resources from my TpT store. Each year I head over to Walgreens for these itty bitty stockings for my students and they write a persuasive letter to Santa on why they deserve to have it filled! 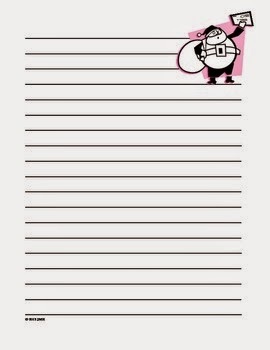 You can get the bulletin board sign in my TpT store along with the Santa themed writing paper. 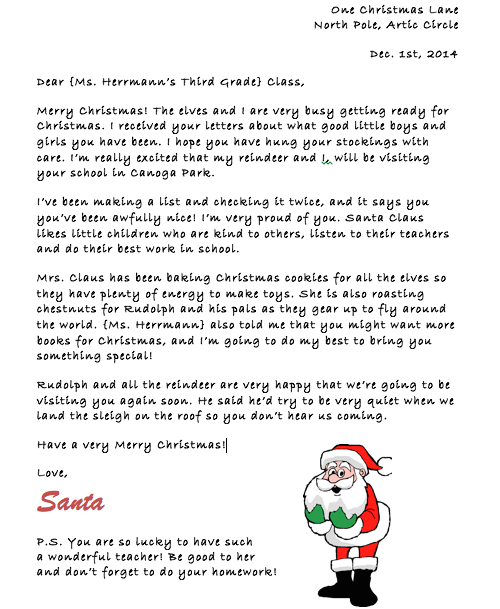 And if you are looking for Santa to write your students back, you can use this editable letter to include your name and class. So far Santa has brought us holiday pencils, erasers, stickers, and candy canes! I wonder what he'll bring this year!!! 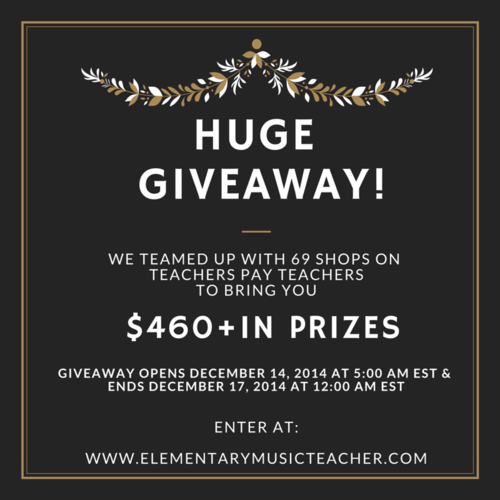 Finally I'm teaming up with James Des Jardins of Elementary Music Teacher for a Huge Giveaway with 69 teacher authors and over $400 of TpT products! Just click the pic to head over to his blog and participate. This giveaway runs from December 14th-17th this week! I'm giving away this product in the 3-6 Rafflecopter. My third grade students loved the Candy Corn one I made for October so they could practice their multiplication facts during centers and now this Christmas Tree themed one is keeping them motivated to practice their division facts. Click the pic to check it out! I hope you enjoyed this post and that you and yours have a blessed Holiday Season!